Here is (with some delay) our picture of the month September. It is the container carrier Maersk Kure, seen from the tug Union 8. The photo was made during the arrival at the port of Antwerp (BE). It is not every day there is a submarine to be seen at the port of Zeebrugge. But during the first weekend of July the Dutch flagged S810 Bruinvis was among the visiting ships for the Navy Days 2016. This is just one of the photo's we made during her visit. On 29-06-2016 the US flagged "Arleigh Burke" class guided missile destroyer DDG103 Truxtun was seen arriving at Zeebrugge (BE). She was the first naval vessel to arrive here for the 2016 Navy Days. This photo of the Smit Sentosa was made on the 20th of April on arrival at Flushing (NL). She didn't enter port after handing over her tow, but sailed on to Rotterdam. This month, we have chosen for the ferry Cote Des Flandres. She was taken early in the port of Dover (UK)on 17 march. On 25-01-2016 the tanker UACC Masafi was seen on the Western Scheldt (NL). Her destination was Ghent (BE). As picture of the month January (New Year), we have selected the incoming Belgian fishing vessel Z53 Van Eyck who entered the port of Shoreham (UK) on 05/12/2015. In the background you can see the Z67 Rubens, both can be found in our photo gallery. Our last POTM for this year was taken on 18-11-2015 on the Western Scheldt (NL). It is the COSCO England, on route from Antwerp to her next destination. On the 25th of October we made this photo of the ferry Dunkerque Seaways, arriving at the port of Dunkerque. She was originally named Maersk Dunkerque. On September 8th we made a nice set of photo's of Dutch flagged landing platform dock Johan de Witt. She was seen during docking exercises on the Western Scheldt (NL). On the 23th of August, the biggest sailing ship in the world was to be seen at Zeebrugge (BE). This is one of the photo's we made during her departure there. 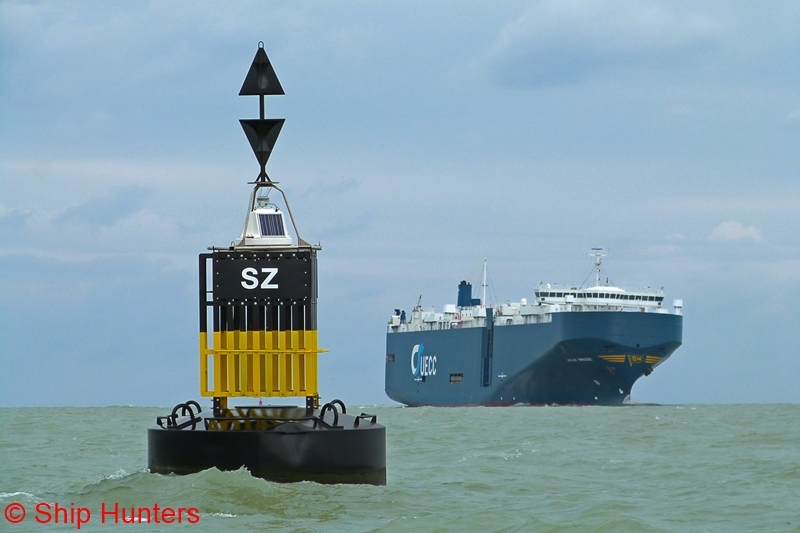 A nice photo of the Asian Breeze on her final approach to Zeebrugge (BE), made it as our picture of the month. 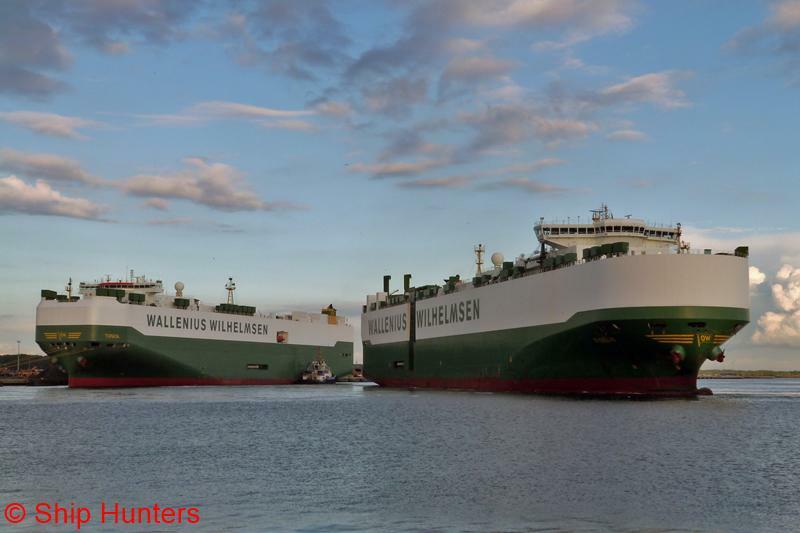 On 22-06-2015 we made this lovely photo of the Wallenius Wilhelmsen owned Ro-Ro carriers Tosca and Fidelio at the port of Zeebrugge. In April we made this photo of the Leopold Staff, arriving at the port of Antwerp (BE). The Photo was taken from aboard the harbour tug Lieven Gevaert. 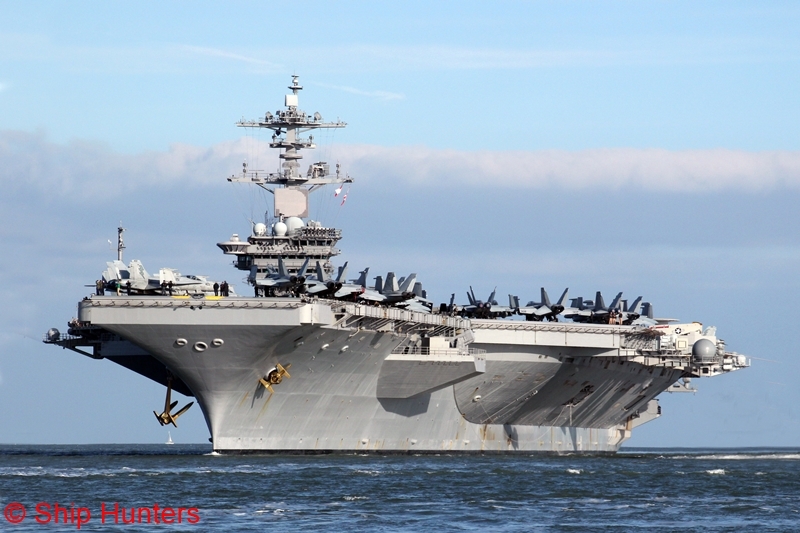 This month the U.S. Navy Nimitz-class aircraft carrier CVN71 Theodore Roosevelt was to be seen at Portsmouth (UK). Though she is to big to enter port, she was there at anchor for 5 days as part of a world tour. You can not see this carrier and not be impressed by it's size so we made her our picture of the month. In February, on the 15th the LNG tanker Golar Bear arrived at Zeebrugge (BE). As always this LNG tanker was assisted by 5 tugboats. Our picture of the month is the coastal tug Brugge, here seen at work on the river Western Scheldt in the Netherlands. With some delay, our picture of the month. The pilot tender Loodsboot 7 seen off the coast of Belgium on the 9th of December. On the 24th of November we made this lovely picture of the Kees Jr. performing dredging ops. at Terneuzen (NL). In the background is the dredger Albatros. This month during a visit at the port of Portsmouth in the UK we were able to make this photo of part of the Naval base there. The photo was taken from inside Spinnaker Tower, about 110m above ground level. On the 27th of September we made this photo of the AHT Carlo Martello. At that moment the dry-dock she was in at the Scheldepoort shipyard at Flushing (NL) was been filled after mayor refit of the tug. The Ro-Ro carrier Glovis Summit was but one of the many photo's taken in August. She was seen leaving the port of Zeebrugge, assisted by 2 tugboats. 4 French naval vessels laid-up at Toulon (FR). They are just a small part of the almost 30 naval vessels we took photo's of on 09/07/2014. And all will be placed in our gallery in the course of the next few days. L9021 Ouragan, L9022 Orage, A620 Jules Verne and L9077 Bougainville. On June 6th, we made his lovely picture of the bunker barge Montana lining up for the lock in Zeebrugge (BE). This month the bulk carrier Pomorze arrived at Ghent (BE). Seen here is a picture of her taken from the tug Evergem. One of the assisting tugs. Early April we got to take this snapshot of the Matador 3 under way to Rotterdam (NL). On 30-03-2014 the Ro-Ro carrier Dong-A Metis was seen arriving at Antwerp (BE). She is a former STX vessel built in 2010.